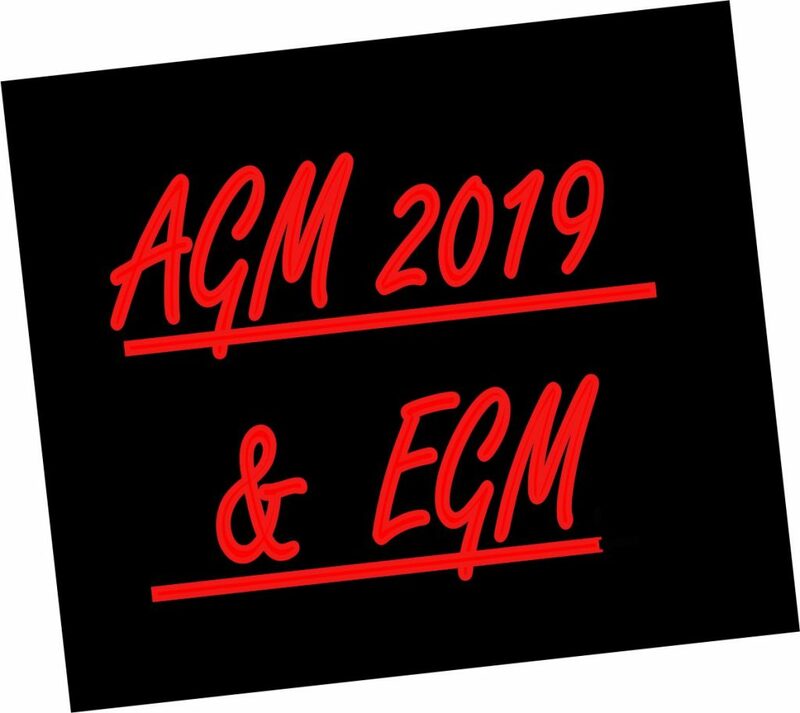 15 minutes prior to the start of the Annual General Meeting the club will hold and Extraordinary General Meeting (EGM) to propose the following changes to the clubs constitution – the only changes are shown in bold font below and are the only changes proposed. 7.1 The membership of the Club shall consist of adult members, youth members, supporter members, guest members (see para 7.8) and honorary life members. 7.2 All applications for membership shall be via an application form to be provided by the Club. Acceptance of Full Membership will follow the receipt of the completed form and upon full payment to the Club of the annual membership fee. The executive committee reserve the right to decline membership. If for any reason an application for membership should be declined, the applicant will be notified within a 3month period and any monies paid will be refunded. 7.3 Membership will run from 1st January to the 31st December annually. Membership renewals will be sought from the beginning of December in each year. This process will be managed by the Executive. 7.4 The holding of any Royal Life Saving Society UK qualification neither constitute membership of the Club, nor be a pre-requisite of membership. 7.5 The minimum age limit shall be nine years. 7.6 The Executive shall set subscriptions, joining fees and training levies during the last quarter of each membership year. 7.7 An adult member is one who is eighteen years or over of age, a youth member is one who is less than eighteen years of age. 7.8 A guest member is someone who the executive committee invite to join the club for a fixed period of time (usually equal to the membership year). They will hold the same rights of membership as a youth member and will not be able to vote at official club meetings. 2019 Membership Fees Now Due!